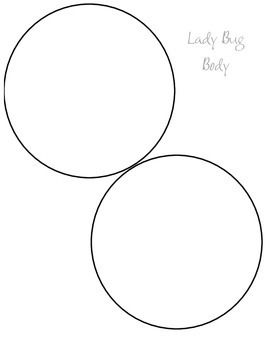 Ladybug addition craft! This is a fun and easy way to practice addition skills. Students will draw dots on each of the lady bug wings. The number of dots can be decided by the student, or by picking a domino (or rolling a pair of dice) and using the two squares of dots and copying the number of dots on each wing. 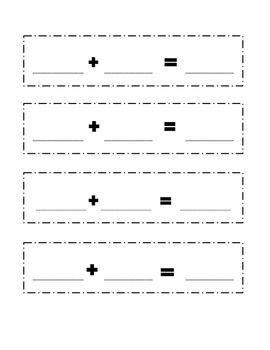 Students will write the corresponding numbers on the addition paper strip. 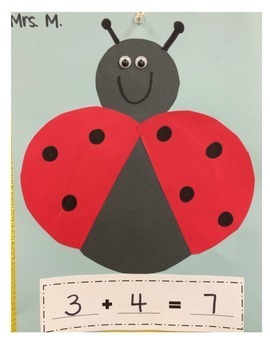 For example, if one ladybug wing had 3 dots and the other wing had 4 dots, the number strip would read 3 + 4 = 7. This craft is best paired with a mini review addition lesson. I have made this to be copied in bulk for a whole class to save on copies. 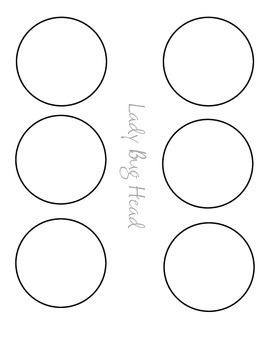 If you would like to print them off for each individual student, I added a lady bug that is put together with wings separate on the last two pages. Extra Materials Needed: Googly eyes to glue on to the head, black crayons or markers to draw the cute little antennas. Copy off the head and the body on black paper. The wings will be copied off on red paper and the addition sentence can be copied off on any color you would like. All of these will be assembled and glued to any color of card stock you prefer.